1. Hygiene - It is use and throw - there is no reuse - so you are ensured of hygiene and cleanliness. The leaf can be used only when it is fresh, so no question of "Old stocks". 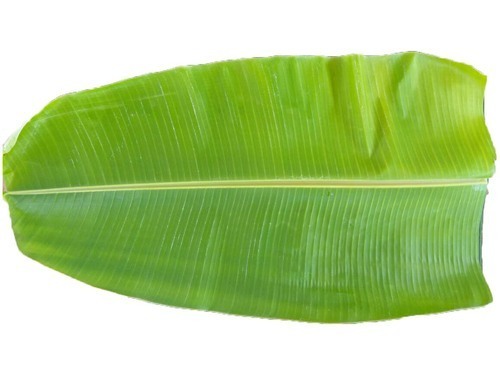 It is quite easy to grow a banana tree in the home - one can harvest a leaf just before a meal to have a very fresh leaf for the meal. 2. Medicinal properties - When hot food is served on the banana leaf, the food mildly absorbs the antioxidants and other friendly chemicals from the leaf and transmits it to the body in very small doses. These anti-oxidants are similar to what is found in Green Tea. So they enter the body effortlessly and work to prevent any stomach disorders, and prevent various other ailments. 3. Since its a use and throw, there is no need for post-meal washing - so no usage of soaps or water - how better could conservation become. 4. What happens to the used leaf? You can dump it in a nearby open space. If cows are sheep are in the vicinity, they will have a quick snack, if such bovine animals do not frequent the place, the leaves will decay and mingle with the soil in just a few days' time. Once you plant a banana tree, it also gives rise to shoots of new baby banana trees, hence, they live on for ever, provided you give them space, and some water. Hail our culture for influencing our lives in subtle but powerful ways. Birds are a beautiful and integral part of a garden.Bird Feeders are a good way to attract birds to visit one's garden.Give garden birds some tasty treats with this simple, but attractive bird feeder. Hang them up outdoors and watch all the birds fly in for a snack. Range of grain eating birds like sparrows, silver bills, munias to parakeets. Birds like pigeons will not be able to feed from this.. When you install bird feeder you are creating a birds sanctuary around your home. Tea is an aromatic drink that is popular the world over. It has many excellent properties that are beneficial for our health, so much so that they help us live longer. It contains anti-oxidants that help reduce the harmful effects on the body, and help us look and feel younger. It is also known to help in weight-loss which has a very positive cascading effect on the entire body system. Compared to coffee, tea contains less caffeine, and thereby does not stress the nervous systems. Medical research proves that consuming tea regularly reduces the risk of stroke and other heart diseases. Going beyond the vintage, classic teas, the market today is flooded with Ayurvedic Teas that blend various useful ingredients (right from the very useful Ginger) to normal tea to make it even more beneficial to the consumer. Tomatoes are the world's most popular fruit (yes, not vegetable). When tomatoes are in demand, the rates shoot up quite rapidly. A home garden with tomato plants is the ideal solution. But if you are not able to grow them, the next easier alternative is to buy tomato puree. Tomato puree is made by extracting tomato pulp, and usually contains preservatives to keep it fresh. It's available anytime, anywhere, so it's a good idea to stock some puree for use. It's not only about the device - it is also about the wonderful apps for photo taking, special effects, editing, post-processing, and more. 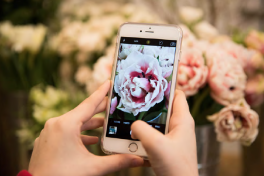 The iphone is the best way to organize and share your photos and videos via email, e-cards, and social media . Bye bye digital cameras. Welcome iphone.